Your skin will love our rich and creamy lotion, made with shea butter and (of course!) goat milk. 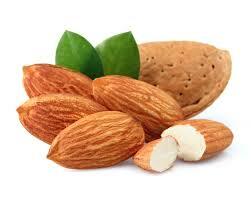 The sweet, lasting almond fragrance is a favorite among customers. 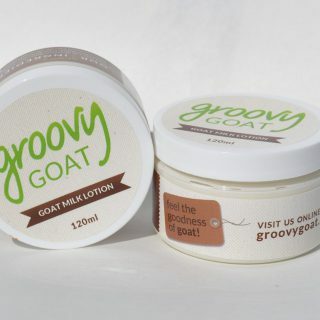 Our lotion comes in a 120 ml jar. Your skin will love our rich and creamy lotion, made with shea butter and (of course!) 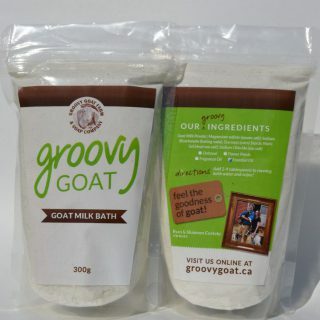 goat milk. The sweet, lasting almond fragrance is a favorite among customers. Note: We use a globally approved preservative (Optiphen) in our lotion to prevent bacteria and mold growth. Optiphen is paraben and formaldehyde-free. For best results, use lotion up within 4-6 months. 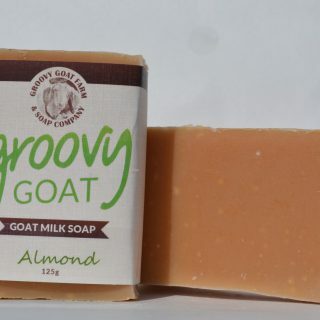 Ingredients: Goat Milk/Lait de chevre; Water/Eau; Prunus Dulcis (sweet almond) Oil; Butyrospermum Parkii (shea) Butter; Cetyl-Stearyl Alcohol; Persea Americana (avocado) Oil; Stearic Acid; Phenoxyethanol Caprylyl Glycol (Optiphen); Parfum/Fragrance. I absolutely love this scent! It’s so soft yet aromatic at the same time. 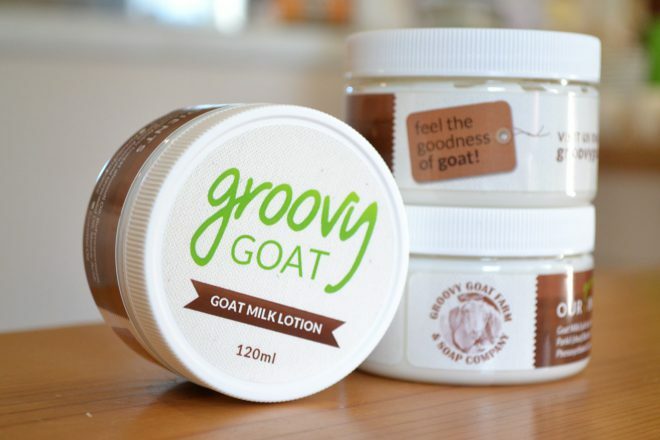 The lotion leaves your skin silky smooth. I have the worse cracked skin during the winter and this has drastically helped even on the worse days! I will definitely buy more when it becomes available.